Test Pilot: File #64, Doogie Howser, M.D. Test Pilot #64: Doogie Howser, M.D. Welcome back to Test Pilot everybody. Today, we kick off a brand new theme focused on the work of one of television’s more prominent and prolific writers, David E. Kelley. With Kelley’s The Crazy Ones soon to debut on CBS, I thought it might be interesting to look back on his career, which has featured a number of big-time successes and a few weird choices as well. Although it’s problematic to head down a road where we’re assigning a series’ creative output to one individual, pilots often give us the best representation of a writer’s vision for a project. So hopefully the next few entries won’t dive too deep into overly auteurist considerations of Kelley’s work, even if myself and my guests will be looking for ongoing themes and through-lines. Kelley’s place in history is fascinating: Is he anything close to a real innovator or just someone who did one thing really well for far too long? Is he an ally (see what I did there?) to women or just a Patronizing White Dude? Or, is he all those things? We’ll try to figure it out as best as we can. 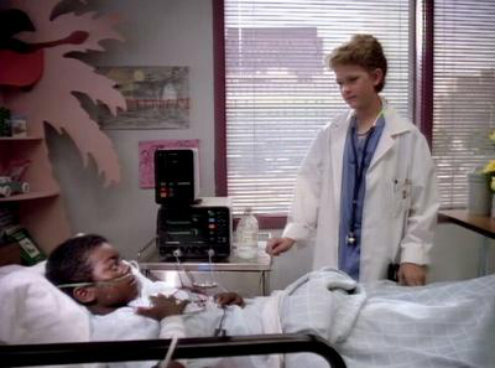 To kick that exploration off, we turn to a series that Kelley had very little actual involvement with outside of the first few episodes and even then, it’s unclear just how much he did: Doogie Howser, M.D. The ABC dramedy is almost exclusively known as the project that brought the hardworking Neil Patrick Harris into our lives–and perhaps partially known for its tremendous (and tremendously dated) theme song. It was never a giant hit, nor is its cultural impact particularly pronounced. But nearly 25 years after its debut, there’s gotta be something in there to talk about, right? If you write the pilot you get a “created by” credit. But the truth is, that was Steven’s idea, it was a show he had in his brain, and he came to me, pitched the show to me, and asked if I would like to help him write and I said yes. I learned a lot from that process. …The fact that I was privy to that process taught me a lot about being a producer — and when I say a producer, I mean Steven, because I was just a little fly on the wall. But here was a producer standing by his conviction in his show and his actor — being collaborative to the point where you accept constructive criticism but not compromising on your instincts. And that’s something Steven always instilled in his writers. So technically, Doogie is Kelley’s first creation, one that turned out relatively fine, and even he’s not willing to commit to any tangible role he had in the process. That puts us in a difficult position, but maybe one that still tells a few things about the process of being a writer in the television industry, and about Kelley in particular. I spent my viewing of the Doogie pilot searching for touchstones of the Kelley brand (hot-button social issues, an attempt to create situations that involve ethical choices, LAWYERS) and unsurprisingly, there’s not a whole lot that present in these opening 24 minutes. Somehow, there’s no court room and nobody goes on an extended diatribe. This is a pilot (and a series) that doesn’t necessarily fit into the Bochco brand either. There aren’t a slew of characters, and those characters aren’t cops (or again, lawyers). Nevertheless, it’s not as if Kelley and Bochco are above programs with slightly off-center premises or characters, and they’ve both also tried their hands at projects that attempt to mix comedic and dramatic elements, sometimes within the same scene. Perhaps more importantly though, this an episode and a premise that reminds us that although certain writers have certain ‘lanes’ that they typically work in, strong workers can move outside their typical boundaries–genre, time period, style, what have you–and do compelling stuff. Bochco and Kelley are both known for a particular type of show with individual viewpoints, but Doogie is the pilot that proves that above all else, they are both successful populist television storytellers. Really goofy premise aside, this is a very enjoyable, efficient pilot. It moves through all the necessary (some might say predictable) beats without lingering long enough for the audience to ask any substantial questions (the info-dump in the title sequence is a smart, helpful move in this regard) and manages to squeeze a nice little emotional pay-off to Doogie’s dueling identities as a lusty 16-year old boy and dutiful 16-year old physician. Both Bochco and Kelley are experts at weaving multiple story threads together–across episodes, seasons and series–and those skills are indeed on-display here. Is it ridiculous that this character is barking at the presumed chief of medicine about why a veteran doctor is wrong about his desired treatment for a young boy who needs a heart transplant? Obviously. And is it even more ridiculous that Doogie gets a beeper page in the middle of his first kiss bringing him to the hospital so he can comfort the 50-something doc who lost the sick boy on the table? Duh. But somehow, weaseling around in that wonkiness, is an episode that makes those moments work, wherein the main character’s heartbreak not only works on an emotional level, but seems like a rock-solid way to establish the premise. I never especially enjoyed random episodes of this show that I’ve seen, mostly because the premise doesn’t necessarily lend itself to years of fascinating storytelling, but in one 24-minute chunk, it’s a nice little burst of simple–but not stupid–storytelling. In lesser hands, there’s absolutely no way that this pilot is this good; maybe it doesn’t even make it to air. The pilot finds the little moments that help the premise go down easier. 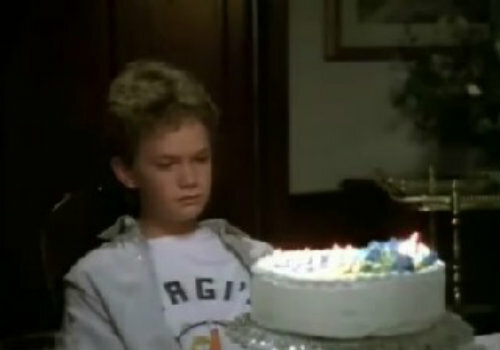 Doogie struggling to find the balance between emotional maturity and his adult job, particularly in connection to his relationship with his father, is the key to the whole episode. It’s nowhere near groundbreaking, but the pair of scenes between the two make it clear that Doogie’s intellect doesn’t prevent him from being immature, irrational, or generally ‘young,’ and that when his patient dies while he’s at the school dance, that tension is all the more real. Of course, none of this would be truly possible without Neil Patrick Harris’ performance, which is really something. He’s a bit stiff at times, but he brings real pathos and ethos to Doogie. He’s credible enough in the exposition- and jargon-y scenes that you don’t immediately gasp at Doogie’s position within the hospital and vulnerable enough when in more familiar teenage boy mode at home or at the school dance. 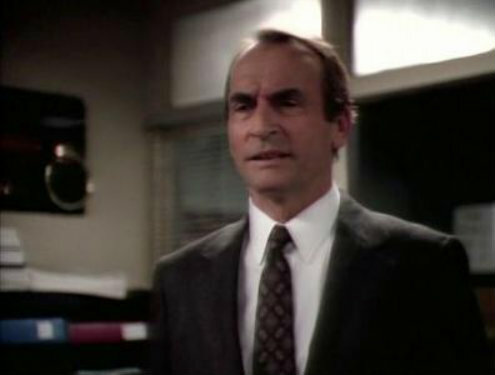 Bochco’s old buddy James B. Sikking from Hill Street Blues brings a measured bellowing to his work as Doogie’s father and together, he and Harris create the kind of admiration/resentment that surely go on to drive much of the series’ action. Kelley and Bochco have gotten great performances out of their actors for decades so this isn’t that shocking either. 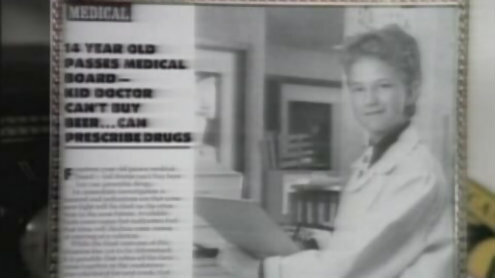 As a pilot, Doogie Howser, M.D. is pretty good. Although Bochco stayed on the project in an advisory role as time went on, Kelley went on to his first full-fledged solo creation Picket Fences. For a moment, try to imagine a version of Doogie where Kelley sticks around. Maybe there’s more in the show about homosexuality, race relations, and AIDS if Kelley sticks around. But like many of television’s anointed auteurs, Kelley projects tend to start very strong and then flame out pretty quickly. Although Doogie only completed four seasons without him, it might have been a better show temporarily with him. As it stands, all we can do is take Kelley for his 2011 word and assume that Doogie taught him how run a show on his own. I’ll keep that in mind in future entries. And joining me today is Adam Lukach. Adam graduated from Indiana University last year and now lives in Chicago as a freelance writer. His work has recently appeared on RedEye Chicago, NOISEY Music and Consequence of Sound. He could use a job, though, so holler if you have one. You can follow him on Twitter. Adam: Cory’s obviously taken the more historical route of examining the Doogie Howser pilot, examining with as much regard for what it meant in terms of David E. Kelley’s writing as much as the show’s legacy. However, I did not know much about who David E. Kelley was prior to watching this pilot, so my view will be more of a layman’s take on the show and its general execution. Obviously, Doogie Howser derives pretty much all of its fodder and its entertainment from its main concept, the goofy juxtaposition of a 16-year-old genius who is also a doctor. That’s it. As Cory pointed out, the show thrives on this tension and all of the potentially strange situations that could and would arise from a doctor whose balls are still dropping. While the pilot had some moments, the show wasn’t able to go long enough with this concept to get past the sheer novelty of it. What I mean is, unusual subversions like the concept of Doogie should have a larger purpose, a way of exploring and revealing information that would not otherwise have been as insightful or even possible without the juxtaposition. There were a couple of moments like that in the pilot (I’ll get there,) but mostly we were left with scenes like the opener, where Doogie is taking his driving test for his license and decides instead to pull over and help an accident victim. “WHO IS THIS KID?” the ornery instructor asks. “OH THAT’S JUST MY SON WHO IS ALSO A DOCTOR LOL” Doogie’s mom responds. Honestly I’m not even sure if Doogie got his license or not, but that doesn’t matter. He was being a kid, then, oh no, he needed to be a doctor instead. Scenes like this are mostly content to stop there. Maybe that changes. Not having seen any of the rest of Howser doesn’t help my estimations here, but most of his personal/professional tension from the pilot didn’t yield any kind of insight. “You’re such a good doctor, sometimes we forget that you’re just a kid,” says one doctor after the staff plays a very strange seduction prank on Doogie. His being young didn’t lead to any unique interactions between these people, just more bad pranks between co-workers. At times, this concept worked and lent itself well to seeing more of a situation than we would normally be able to. Doogie can empathize and feel for the 6-year-old boy whose heart is failing better than the adult doctors in the hospital, but that’s as much from battling leukemia when he was younger as it is his age. His relationship with his father, Dr. David Howser, brings out the best and most engaging parts of the show’s concept, no question. Although the set-up is a bit cliche–the elder Howser is a great doctor in his own right and a no-nonsense dad–it all works. The typical teenage rebellion and difficulties take on another level of meaning when you remember that Doogie and his father are also professional peers, something Doogie obviously believes requires a certain level of respect that his father has not been willing to give, fairly or not. It’s easy to sympathize with David, who is seeing his son grow up way too fast, but it’s also easy to sympathize with Doogie, whose career as a certified health practitioner has, understandably, made it hard for him to grapple with parental restraints. In that dinner table scene, where Doogie’s emotional immaturity is discussed most explicitly, it’s interesting that his father was the one to get up and walk away from the table, just seconds after he’d forbidden Doogie from doing the same thing. Again, maybe this is just the pilot. Maybe they’re setting up some interesting things here that will be further delved into as the series goes on. It seems, after a brief Wiki search, that Howser certainly dealt with some social issues as it relates to the field of medicine, like AIDS awareness, homophobia, access to medical care, etc. That kind of commentary is apparently one of Kelley’s trademarks, which is fine. But, granting that I haven’t seen them, I’m wondering what having a 16-year-old doctor also grappling with getting laid would add to a discussion about affordable health insurance. So I’m skeptical when thinking about the necessity of the show’s main crux. Sure, it’s a funny thing to think about, but many of these issues could have been explored in their own segregated spheres (i.e. a medical or teen dramedy) and still resonated. They didn’t need Doogie Howser, MD to be adding anything–maybe that’s why the show’s ratings were down, and Howser walks away from medicine entirely in the fourth season. With all of that said, the writing of Kelley and co-creator Steven Bochco gets some decent use out of what is mostly an underdeveloped concept. This idea is such a goofy novelty that it’s impressive they were able to tackle anything meaningful using it in the pilot, let alone for a few more seasons. As Cory said, this is a show that doesn’t come anywhere near the air in pretty much any hands but these at the time. The dinner table scene was terrific, as was his father’s consolation after Doogie lost his first patient. Part of this is due to Neil Patrick Harris being able to pull off the part really well, with nuance to his expressions and body language that you don’t normally get from child actors, let alone those from the 80s/early 90s. So while the pilot doesn’t exactly play well today, for its time, it seems pretty good. Efficient storytelling, good acting and an intriguing concept are all key elements when a show is sharing for the first time, and Doogie definitely captured all of those. It’s not surprising, though, that the difficulty of exploring that concept persisted, and wasn’t enough to sustain the show for more than four seasons. After all, there are only so many teenage milestones. We’re still looking for a few co-writers on upcoming Test Pilot entries. If you’re interested in writing about Picket Fences (publishing on 9/18) or The Practice (10/16), let me know. Please.